iCloud Drive is Apple’s online storage system. Individual apps can store data there, but you can use it to store your own documents and access them from any Mac, iOS, or Windows device. 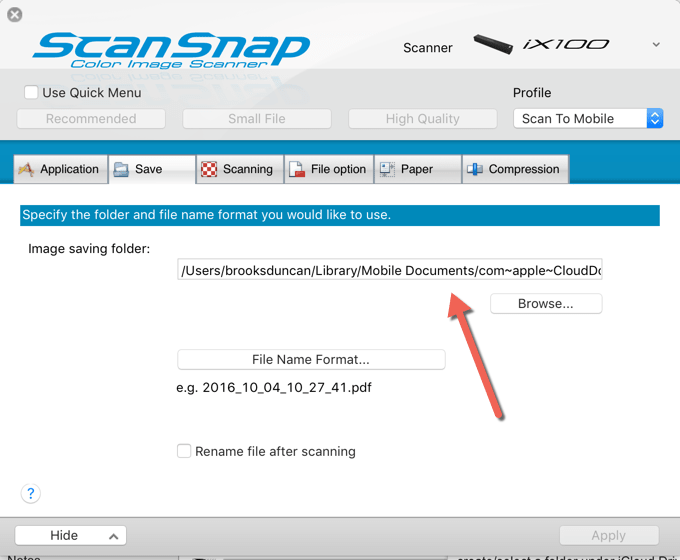 I was recently asked by an awesome DocumentSnap reader how to scan to iCloud Drive, so here’s how to do it. 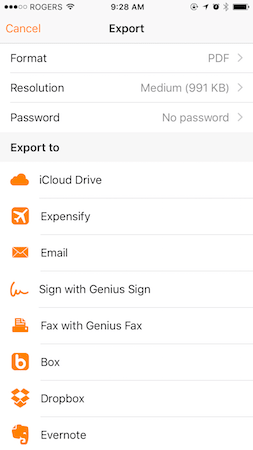 Most if not all iOS document scanning apps have iCloud Drive integration built-in. 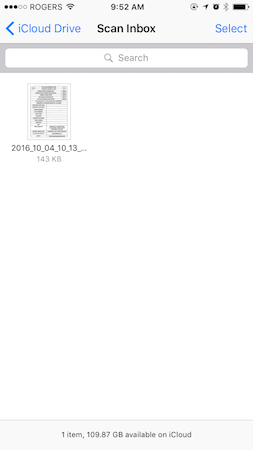 For example, I scanned a document with Genius Scan+ and hit the export button. I’m given the option to save to iCloud Drive. Once I do that and choose where in iCloud Drive to save to, the PDF is uploaded and available on my other devices. If you use a Mac or Windows computer, you can scan to a folder in iCloud Drive. 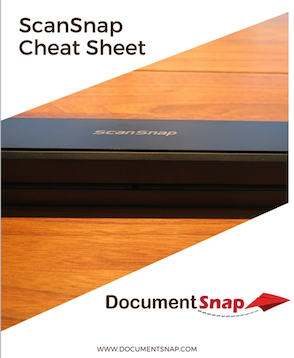 In this example I’ll be using a Fujitsu ScanSnap, but the general concept will apply to any scanner. 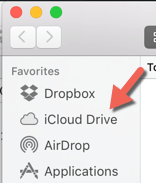 When you scan a document, you’ll want to choose a folder under the iCloud Drive folder. On the Mac, this will appear in your Finder sidebar either under Favorites or iCloud. If you’re on Windows, you’ll need to set up iCloud Drive on Windows first. If you’re using the ScanSnap, you can set up a ScanSnap Manager Profile to automatically save to iCloud Drive. On the Save tab, hit the Browse… button and navigate to one of your iCloud Drive folders. In my case, I created a new folder under iCloud Drive called Scan Inbox. Once you select it, it’ll look a little ugly but that’s OK, it gets the job done. 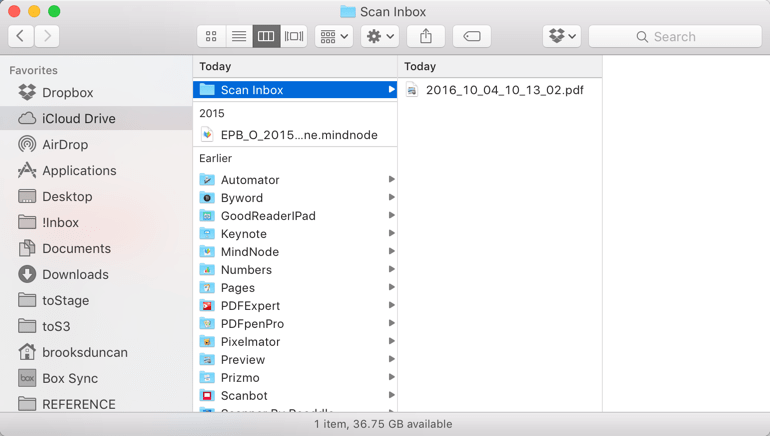 I scanned a document using that profile and it went to my Scan Inbox folder under iCloud Drive. Eventually (thanks to iCloud’s annoyingly opaque syncing) it appeared on my iPhone. 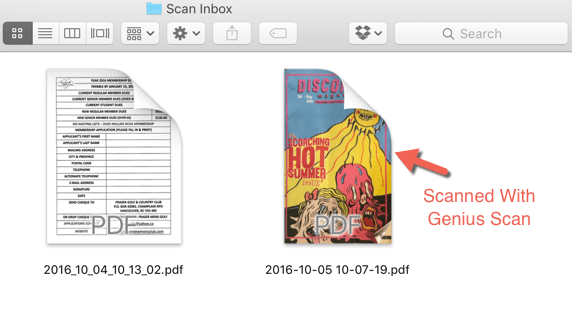 Whatever scanner you use, if you scan to a folder under iCloud Drive it will upload and be available. macOS Sierra makes things even easier – you can have it automatically sync your Desktop and Documents folders to iCloud. If you enable it, you’ll just need to scan to anywhere under those two folders and it will do it all for you. Sounds a little scary to me, but if you have upgraded it you can read more about that here. If you have other ways that you scan to iCloud Drive, leave a comment and let us know your solution.